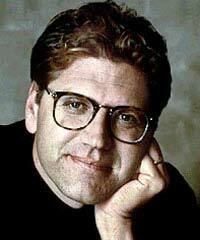 Robert Zemeckis was born and raised in Chicago, and began making 8mm films while he was in high school. Eventually Steven Spielberg became his mentor, serving as executive producer for Zemeckis's 1978 Beatlemania comedy I Wanna Hold Your Hand, and his salesman comedy Used Cars. Zemeckis also had a hand in writing Spielberg's WWII slapstick paranoia film 1941. One of Zemeckis' biggest hits, Forrest Gump is often referred to as his masterpiece. Many hearts were warmed by that movie's loving ode to American honesty, generosity, loyalty, and integrity. Some audiences, however, were bored silly by its meandering story of a retard (Tom Hanks) rendered as heroic, with innocence and stupidity presented as America's greatest virtues. In the 1980s, Zemeckis had success with special effects successes like Back to the Future and Who Framed Roger Rabbit?, and the adventure Romancing the Stone, followed by relative duds like the Back to the Future sequels, Death Becomes Her, What Lies Beneath, and the five-Hanks CGI Christmas oddity The Polar Express. Cast Away, starring Hanks again (this time opposite a volleyball). Zemeckis has also become a movie producer, mostly known for middle-budget low-imagination efforts like House on Haunted Hill, Thir13en Ghosts, and Halle Berry's bland thriller Gothika. When Showtime commissioned six big-name directors to make six documentaries about Americana, Zemeckis focused his camera on intoxication and inebriation. His featurette, The Pursuit of Happiness: Smoking, Drinking and Drugging in the 20th Century, was widely taken as pro-marijuana, and is still sold as a fundraiser by groups seeking to legalize the drug.